On Thursday, singer Tyrese (full name Tyrese Gibson) appeared in a Los Angeles courtroom on allegations of child abuse brought against him by his ex-wife, Norma Gibson. And shortly after his court appearance, the singer checked himself into a hospital. Tyrese complained of chest pains and was treated for dehydration, according to TMZ, which caught up with the singer late Thursday night as he was leaving the hospital. “It was anxiety, just a quick little anxiety. Please don’t make this about me. It’s about my daughter,” he told TMZ. 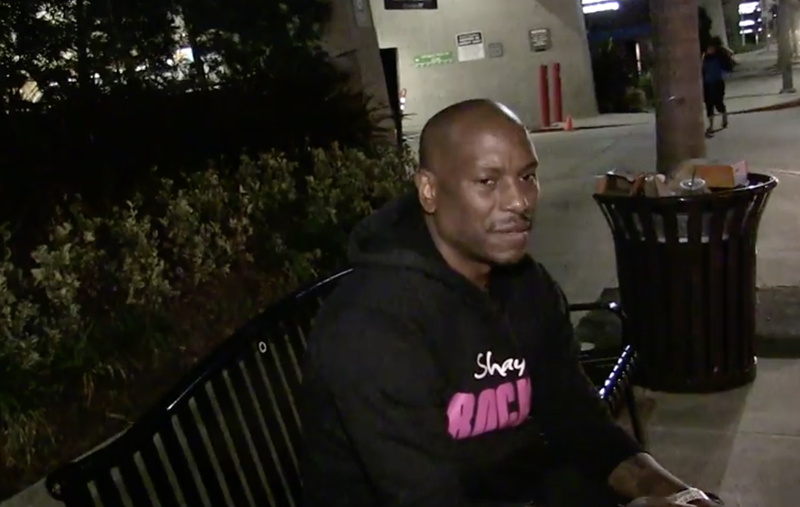 Tyrese explained that he had had an IV bag as he took a seat on a bench to smoke a cigar. “Let me finish this cigar. My wife doesn’t like cigars,” he said. He went on to say that he felt compromised because hospitals are supposed to maintain patients’ confidentiality, but someone had apparently leaked the alias he uses. Explaining his state of mind, Tyrese told TMZ: “I’ve never been through a trial. I’ve been up since 4 a.m.; I didn’t know I’d be there until 4:30 p.m ... a little anxiety kicked in. Gibson caught flak earlier this week when, despite being under an order of protection, he flew a banner over his daughter’s school stating that he loves her.